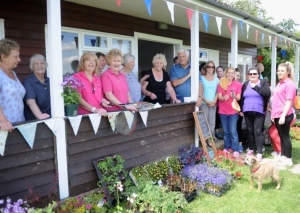 Kirdford Stoolball Club was originally formed in the late 1940’s early 1950’s but unfortunately disbanded after a short time. Reformed in 1960, playing at the recreation ground and occasionally, if there was a cricket match also arranged for the same day, playing at the football field. Matches were 11-a-side ladies friendly matches played in an evening over a certain amount of overs (eight balls to an over). Sunday was tournament day, when a coach with players and supporters would travel to a ground, near or far, and play eight-a-side stoolball against various teams, often finishing late in the evening, and if the team was successful in winning the cup, finishing up at the local pub. Lots of stories could be told about this! As the team improved they decided to join the West Sussex League playing 15 over evening matches against various Horsham area teams. Many of Kirdford’s players were chosen to represent the Horsham League in the inter-league tournaments. During this successful period with the ladies, the mixed team – four men and four women – proved to be one of the best teams around, winner or runners-up in most tournaments they entered. 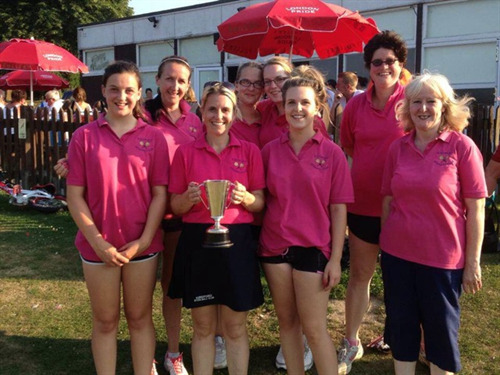 Kirdford held an annual Ladies tournament and a Mixed tournament where usually 12 teams attended. These events were always well organized and very successful. Throughout all this Brian and Kath Harris played big parts, Brian by marking out the pitch and umpiring, Kath by making scrumptious cakes and also making the notorious bright orange crimplene dresses! Later Eddie Morgan took over the umpiring, often getting asked to umpire in very tense finals. Kirdford Juniors was formed and they had some very good players. A number of them were chosen to play for the inter-league junior tournament team. 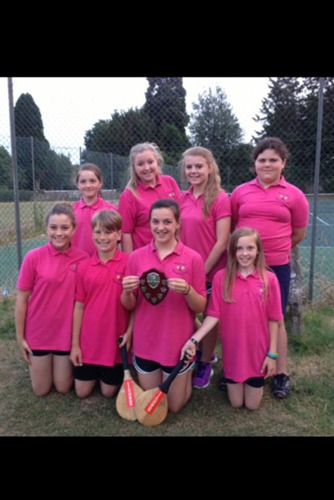 The juniors too were very successful in tournaments, often battling it out with the Alfold juniors in the final. The two best junior teams around. At the end of the season everything seemed very flat so it was decided to join the Indoor-Stoolball League at the Weald School which ran through the winter, played usually on a Sunday evening. This proved to be less successful for Kirdford, a very hard transformation. Trophies for the most runs, wickets and catches over the season were given at the “end of season” do. Thankfully very easy to tot up from Carol Fuller’s excellent scoring!